Blair ended up being a quiet weekend, with just me taking Volcan du Barquet for the 1*, and Hector riding his two in the 2*. Alice was very busy with the ERM class and the children joined in on the chaos. Volcan did a very pleasing test and felt very relaxed and happy, scored 46 which was ok as the leader was on 41. But he did get a big discrepancy between the two judges which unfortunately proved a bit expensive. I always think in those situations you have to be grateful for the higher mark. This left him in 9th place which wasn’t too bad out of 68 starters. The cross country course was nice and inviting and quite educational for a 1*. The ground was particularly good as the terrain at Blair is always quite tough. It was only my third ride on him cross country so I didn’t know what to expect but he gave me a very good solid clear round inside the time, which is very exciting to have under our belts. There was plenty of galloping on the course so the time was fairly straightforward but this was the first time I had let him go out of a hand canter and I really didn’t know what to expect. He has always been very honest and straight and he also felt very confident and brave. 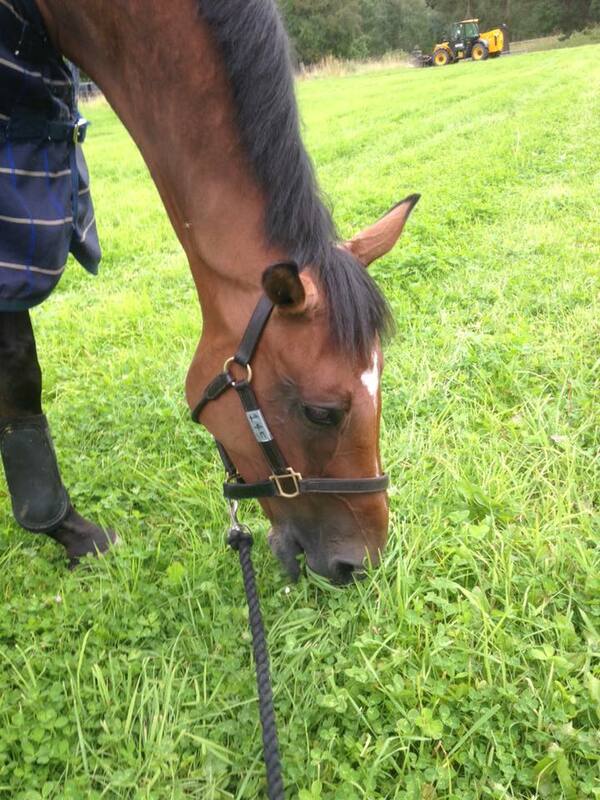 He happily came out of the cross country well and looked great on Sunday. He was very unfortunate to roll a couple of poles in what was otherwise a good round. He felt nice and relaxed and really jumped very well so he was a bit unlucky. I am now going to give him a few days off but I hope this won’t be the end of the season for him. I would like to do a few more events on him to help establish our partnership. Hector was riding Dynasty and Ironstein in the 2*. Both behaved pretty well in the dressage, but perhaps didn’t perform as well as Hector had hoped. They then did super clears cross country and on what was quite an influential track they moved right up the order to 3rd and 5th. They also suffered no ill effects and jumped very well on Sunday, they were both unlucky to roll a pole but still finished right up there in 4th and 5th. They will hopefully do Blenheim 8/9yo class next which will round off a very productive year for both of them. The ERM class went well and generated a huge amount of interest, which was very exciting. The cross country course was quite straight forward but asked a few questions, but it did cause trouble which made for a very exciting competition to watch. 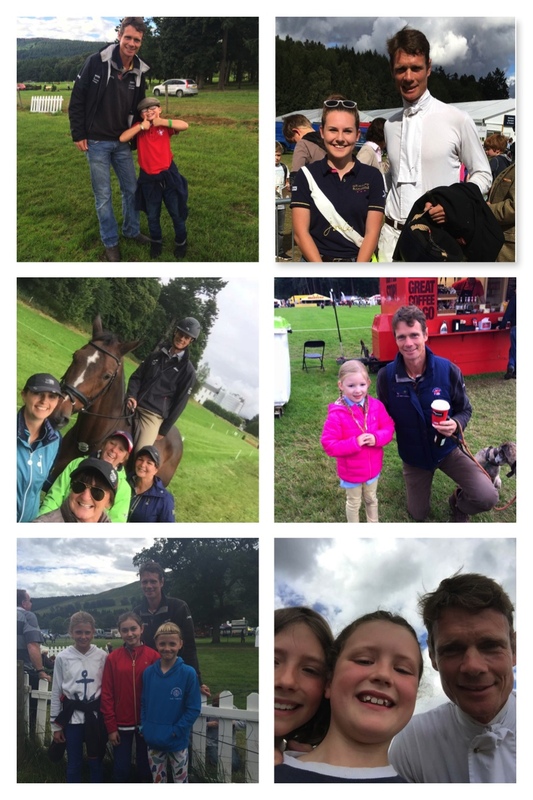 Oli Townend did superbly to come out on top once again but it was very surprising to see Bylth Tait, Bettina Hoy, Bill Levett and Chris Burton all having uncharacteristic mistakes on the cross country course. We are certainly all looking forward to a very exciting climax at Blenheim in two weeks time. Following on from the Europeans the Blair team did a superb job looking after us all brilliantly. Alec Lahore put on an excellent show with his courses which were interesting and challenging at all levels.